Ever need to make passwords for users and, let's face it, in the real world a lot of customers demand some pretty silly simply passwords. Using password generators often results in passwords that customers will not (and maybe cannot) use. A ridiculous situation, obviously, but it is reality. Passwords are simply difficult to often pass on to someone. 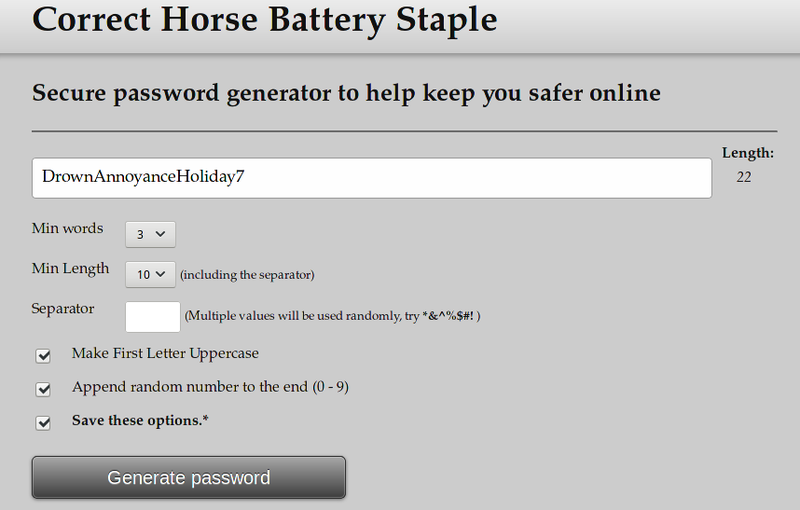 When generating temporary passwords, having something super strong is rarely very important. But avoiding something too hard to be used is needed. But just making up something non-random or even non-unique is really bad. Yup, here is reality. Sometimes children's tools just make more sense when, well, you can draw your own conclusions. Thanks for this link Jared. This is excellent! RE: Looking to migrate backup service to Unitrends. I've been working with Veeam support on this. They are telling me that I can use the new Cloud Tier option in update 4 instead of Cloudberry to offload Veeam backups to cheap cloud storage (I plan to choose Wasabi). Since this feature is so new it's hard to know all the cons at the moment. I'm going to try and skip the extra CloudBerry license costs to use the new Veeam Cloud Tier option already built into my Veeam Enterprise license to offload backups to Wasabi. I can update this post after I complete it. Edit: Here is a link to setting up Cloud Tier with Wasabi if anyone is interested. Great link @dave_c! Your right, it isn't what I thought. Back to using Cloudberry and Veeam. The Cloud Tier is more for off-site cloud storage of you SORP. 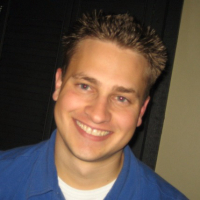 @scottalanmiller - Native integration in Veeam BR Update 4. That is what I have been waiting for. I have quite the setup to get backup files to Amazon S3 right now. This would simplify it and dramatically reduce the cost. I'll be skipping the Cloudberry install now and just use Veeam backup to Wasabi cloud using the Cloud Tier in update 4. Looks like I bought Veeam just at the right time. Looking at the Veeam scenario. If I create a SAM-SD as my Veeam repository for local backups. Can someone point me to what middleman software I should be looking to replicate those local backups to the cloud on the SAM-SD to Backblaze B2? This is easy with a Veeam cloud connect partner since I can do this within the Veeam console, but what about going to a third party cloud backup provider? CloudBerry, or just a script. No special tools needed to send things to B2. B2 provides libraries for it. Cloudberry is a backup solution itself. You would use that to manage your backup scheudles and such as well as to send the data to offsite storage. Cloudberry does exactly what I was talking about in my previous post by the way. I've now got my Veeam install up and going and sending backups to my SAM-SD repository (working great BTW!). I'm wanting to install the CloudBerry server client on my SAM-SD (CentOS 7) and upload my Veeam repo to BackBlaze B2 for offsite storage. I'm having trouble wrapping my head around the proper Veeam backup method to send to the SAM-SD repo and have CloudBerry upload to BackBlaze efficiently. I've currently got the Veeam backup job setup on the Forward Incremental Forever Backup Method. What is the best Veeam backup method to send to the repo that CloudBerry can upload to BackBlaze B2 efficiently, and reduce the amount of uploaded data keeping in mind CloudBerry has the Synthetic Full Backup feature that reuses the existing data stored in the cloud. You don't. You are mixing two different backup solutions. @JaredBusch This is such a simple comment, but it's really the best response. I really don't want to setup tapes ever again, even if it's virtual. I've already purchased Veeam Enterprise, but the path to put Veeam backups to the cloud is best done through cloud connect partners or Starwind VTL. CCP's are expensive and Starwind VTL is a PITA setup. Here is a thought...continue to use Veeam to backup to my SAM-SD repo. Then I would install CloudBerry managed backup service on 21 of my important VM's to just backup to Backblaze B2 for offsite backup. The CloudBerry managed backup is priced at $25/per Windows VM with the volume discount. I have some buddies who work at Unitrends in their Engineer dept. that can help talk some things through if you need. also I know some end users I can refer you to if you want some references that use Unitrends for the same. and if you need any other options let me know...I love these types of projects. Thanks for your comment, but I realized Unitrends was not going to work out for me. Other players such as Veeam, Nakivo, Cloudberry are better options for me. What other options can someone point me in the direction of for good priced Veeam offsite storage other than the main AWS and Azure options. The Starwind VTL option to BackBlaze is not very attractive right now. I thought I was going to be able to do this with CloudBerry on my SAM-SD, but that seems like it's going to kill my upload bandwidth since it's not in sync with the Veeam backup job. Just use Cloudberry and not Veeam. Haha, this post pointed me in the direction of Veeam. I’ve already purchased Veeam. I now wished I looked into Nakivo and CloudBerry more before I pulled the trigger. I love Veeam, but if you want to have low bandwidth needs for offsite, then you need to step up to the entrprise version and ro an integrated hosted service. I got the Enterprise version. What is ro? You referring to a cloud connect partner? Looks like there is going to be some increased cloud backup flexibility with Veeam update 4. Veeam is announcing the updated features tomorrow. Could be exactly what I need.